Thousands of homes in the Mesquite, TX area have a garbage disposal installed in the kitchen. This appliance is an important one because it grinds up any food that finds its way into the sink from bowls, plates, cups, pots, and pans. Even if you have a garbage disposal most plumbers will recommend that you avoid dumping as much food down the drain as possible. Take the extra five seconds and scrape the leftover food debris into a trash can instead of letting it go down the drain. Today, let’s take a look at some tips for keeping a garbage disposal in good working order. One of the most important tips you should follow is to run the disposal often. Even if you don’t have anything in the sink to grind up the disposal still needs to operate every couple of days. Simply turn the water on and then activate the disposal. Let it run for a minute or two so the parts move around. This helps get rid of any food left in the disposal so it does not harden or create a foul smell. By running the disposal often you will be able to avoid corrosion, rust, and parts failing. Even though warm water is best to help clean the shower, the tub, the bathroom sink and other items, it doesn’t work the same way when cleaning a garbage disposal. Warm water melts the food in the disposal instead of allowing the disposal to grind it, which can cause the melted food to get stuck to the sides of the pipe and the disposal. Make sure you always use cold water when running the garbage disposal. If you are running the disposal to grind up food you should run it for an extra minute or two once you no longer hear food being ground up. By running the disposal for a minute or two after the food has been ground up you will ensure that there is nothing left in the disposal that could clog it or cause a foul smell. Another great tip is to turn the disposal off, run the cold water and add some dish soap to the water so it cleans the disposal. A garbage disposal is not an industrial appliance. It is only so big and can only handle so much food at one time. That’s why you should only send small pieces of food into the disposal. If you need to get rid of a larger piece of food you should cut it up into smaller pieces before putting it into the disposal or simply throw it in the trash. If you really need to get the disposal cleaned from leftover food or to get rid of a foul smell you should use citrus fruit. Take the peel of a lemon, orange, or lime and throw it into the disposal. Turn on the cold water and then activate the disposal. Let it run for a couple of minutes. The peel of the citrus fruit will easily get rid of those odors and help clear any food stuck in the drain. Do you think you might have a problem with dull blades? The most inexpensive way to fix this problem is by putting ice down the disposal. Throw some ice cubes into the disposal and activate it with cold water. The ice will not only sharpen the blades, it will also help clean any foul smells and remove debris buildup along the drain walls. Ice will not harm the disposal, which makes this a great way to clean the disposal anywhere from two to three times per month. The tips provided in today’s post are simple and easy tips for any homeowner to use in an effort to maintain a well-run garbage disposal. If any other issues occur, such as a power failure to the unit, a severe clog, or any other issue be sure you contact an experienced plumber for assistance. 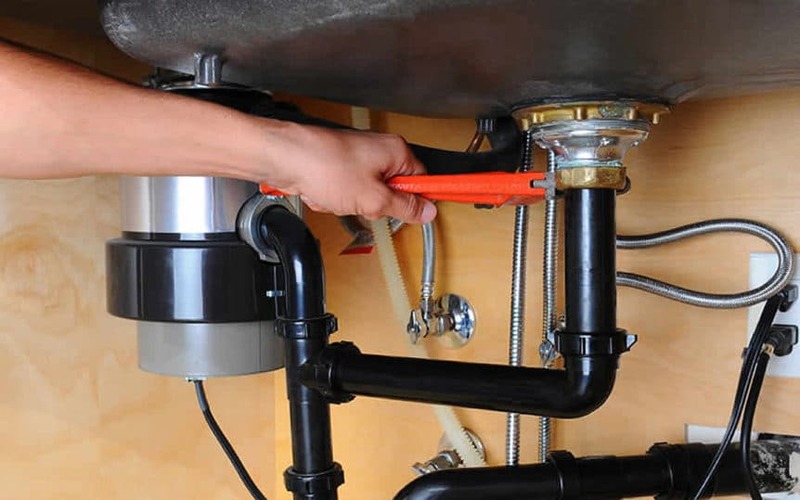 Call the team at Flow Plumbing to schedule a service appointment for your garbage disposal today.